In a room whose lights turn off slowly like a fall in slow motion, emerges a hidden screen behind majestic red curtains. Silence rules and a journey which transcends all borders into an infinite dimension of ideas begins. This is the world of cinema. We share here our journeys. The first part of the long-awaited epic battle between Thanos and the Avengers fulfills its main purpose of entertaining people in thirst of explosions and epic battles but undermines dramatic elements that could have made it one of the best superheroes film of the decade. Ten years after the start of 'Marvel-Phase 1' (with the very good Iron Man), comic-fans long awaited day for the final battle that will determine the future of (many) galaxies has arrived! After plotting a wide-range of non-Machiavelic strategies to destroy the strongest superheroes on planet Earth ( remember the final battle of the first Avengers? 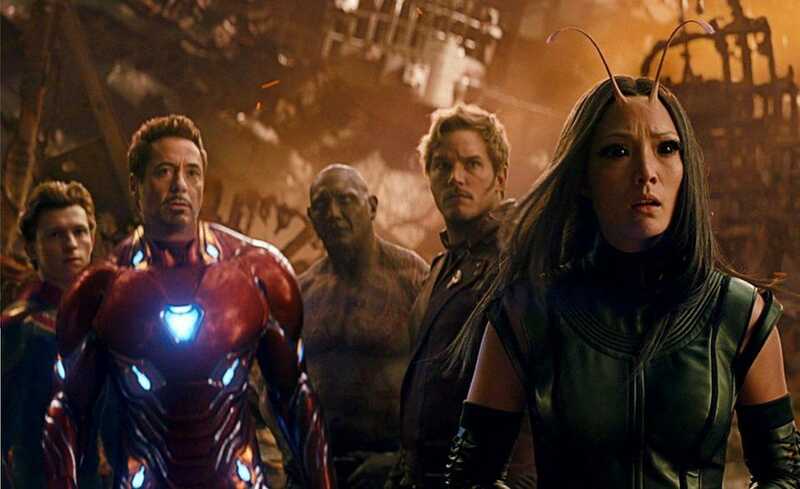 ), Thanos decides to confront everyone himself. After all, he is the big bad guy. Based on this quite simple plot - and after 18 Marvel films - we are still surprised by the creativity of directors Anthony & Joe Russo to provide an incredibly rich film in spectacular action sequences and many (many) surprises in regards to the destiny of many lead characters. The Russo brothers make it clear right from the start: after directing one of the best Marvel films, Captain America: Winter Soldier, they are here to take us to a ride we have never experience before. Suspense and outstanding visual effects are definitely part of the epic ride. However it has a strong weakness: a failed attempt to bring dramatic components to the same level. As any concluding chapter in a saga, strong dramatic twists are part of the experience. Even if we are familiar with the characters (it has been 10 years! ), little empathy has been felt with the characters. The Russo brothers have tried to replicate the effectiveness of Lord of The Rings: Return of the King but it is not solid enough. This said however, it is only Part-1. We will have to see what Part-2 reserves. Being able to cross-over so many superheroes in a 160min length film is quite impressive and does not fall into the dullness of films such as Batman and Robin and Suicide Squad. We get what we ask for and it is a visual delight. This film is the perfect Friday/Saturday night-out to the cinema. Our final verdict: do not expect anything spectacular, just expect having fun. This pearl was released in 2004 but was a box-office flop. We know how cruel the cinema market can be towards masterpieces such as The Fountain but this is why we created a space here, at Red Curtain Cinema, to recommend films that deserve to seen again. 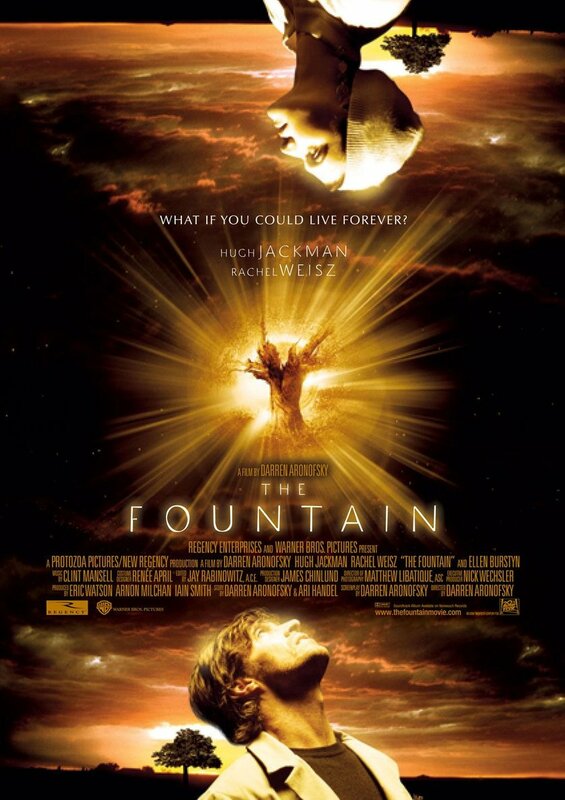 The originality from The Fountain comes from its philosophical plot that is brilliantly deployed through Aronofsky, the music of Clint Mansell and Hugh Jackman at its best (literally). We remember watching this film and being unable to say anything once the lights turned on. This is not a classic Hollywood film about death but a strong reflection about one of the greatest fears: the fear of loosing someone we love. How to control that fear? Can Death be defeated? The Fountain is not only about death but also, and mostly, about life. 3 different periods in history, 3 identical stories: he loves a woman and he wants to promise her an eternal life. The fear of being away from her is unbearable. A truly masterpiece as rarely seen in cinema. It avoids all the Hollywoodean clichés and talks to all of us, who have already lost someone. It has been unfairly forgotten but if you haven't seen it, this is the chance for you to see a film that you will remember. Mel Gibson's new film is a surprisingly good film filmed with great sensitivity to shed light into the humanity of a man amidst the brutality of war. Mel Gibson's comeback as a film director was at first received with a cautious welcome from Red Curtain Cinema. We do not forget the horrible experience that was The Passion of Christ. We were afraid to see again gore scenes, striking visual sequences and accentuated drama. 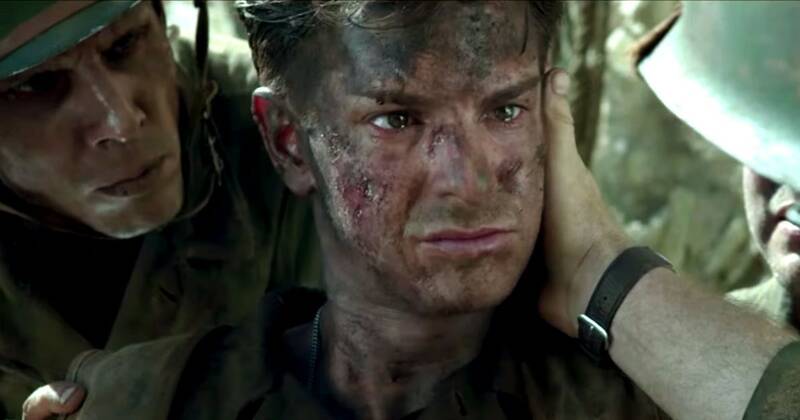 However Mel Gibson decided to privilege the real-life character of Desmond Doss (Andrew Gardfield) and his promise of never using a gun and simply operate as a medic in the battlefield. Gibson makes his statement about war through the compassion, courage and humanity that Doss has towards his mates but also towards his enemies. Andrew Gardfield, in his best role of his career (with The Social Network) is the best asset of the film because we do not understand the choices of Vince Vaughn and Sam Worthington (especially him) as supporting actors. They are empty characters with no interest in this original and compelling story. The other positive aspect of the film is its photography, done with great care that contrast with the common brutality in war films (which became mainstream after Spielberg's Saving Private Ryan). If there is a weakness around this film is perhaps the "too" cautious approach of Mel Gibson when it comes to telling the story. He restrains himself and that is quite obvious since his masterpieces Braveheart and Apocalypto which embraced violence and intense drama supported by a solid story as one package. Hacksaw Ridge fails to move as Mel Gibson's has already shown the ability to but nevertheless makes this story worth being told. In times of individualism and lack of compassion towards suffering people in this globalized world, it is good to look behind and see what people did against the odds such as Desmond Doss. A classic moral fiber but that does mean it is not appealing. All Rights Reserved. Red Curtain Cinema Copyright. Powered by Blogger.